I hope everyone has had a lovely summer! Whether you were taking a course, travelling, or relaxing with family and fiends, I hope it was a restful and restorative holiday for you! I had a wonderful summer in the city with my husband and two boys (4 and 2 years old). I spent a lot of time relaxing , reading, and prepping for the new school year. I had the luxury of returning to the same school and same classroom this year so I didn’t have as much to set up or unpack. I am extremely fortunate that at my new school the caretaking staff are SO AMAZING that everything was put back exactly where I wanted it after the room was cleaned. It was a lovely surprise to find my room almost “first day ready” when I opened the door at the end of August. That being said, I still spent my first day back trying to rearrange my room. Over the summer I had been thinking about trying centres out in new locations, thinking about the flow of the room, considering what areas seemed “busy” or “crowded” last year and which areas seemed under utilized. After all my lifting and switching around, I actually settled on almost the exact same floor plan as last year with a couple of small modifications. The centres stayed the same but I added in new ways of storing materials or added in tables/new seating to allow for different kinds of groupings. Our carpet area/meeting place. This is where we begin our day together, read stories, and reflect on our learning. During centre time, it also doubles as our space for big block play. The Writing Centre. The materials on this shelf change throughout the year. The children can work at an adjacent table or may take any materials they need to other centres. We are beginning the year by studying different kinds of lines. This is also where we store our journals (they go in the basket on the white cart to the left). The Math Centre. This is one of the centres that got a bit of a make-over. I moved out some heavy shelving and replaced it with the small tables and stools for quieter table top work with a partner. The children are also encouraged to work with materials on The Learning Carpet. 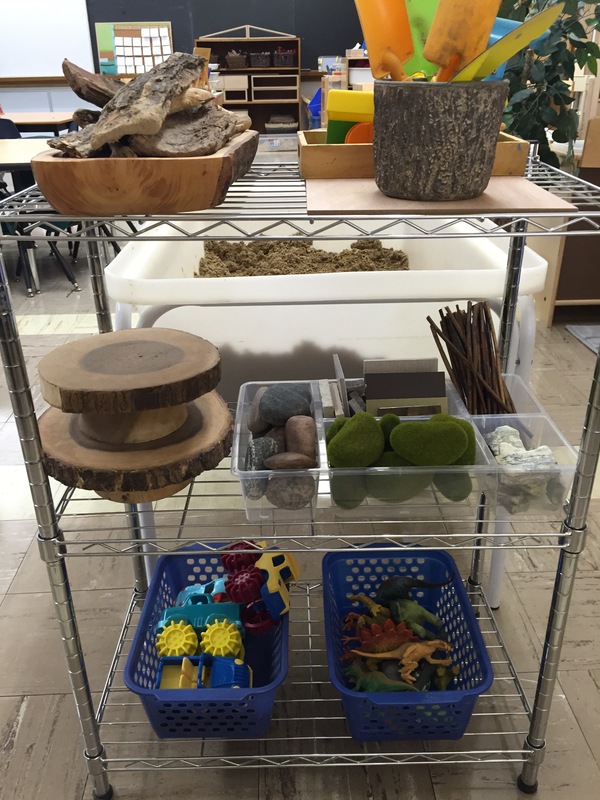 In addition to the materials stored on the cart (which change depending on our learning goals) this is also where our Math Science Investigations materials (building blocks) are stored. The Drama Centre. I always like to set the drama centre up as a house at the start of the school year. It provides some familiarity for the children and is generally quite an inviting space for young children. We will switch up the centre as the children’s interest change and develop. Another view of the Drama Centre. Most of the accessories in this photo were sourced at Value Village, a thrift store in my city. I think it’s the small details that make a space inviting! The Quiet Centre. Sometimes we all need a cozy spot to rest or calm down. I had a few students last year that would arrive at school in the morning after ‘waking up on the wrong side of the bed’ as they say. The quiet centre was their go-to spot to sit in until they felt like joining the rest of the group. This area has cushions to sit on, books to read, lap desks to colour on, and buddies to snuggle. This space also doubles as a secondary light studio. I simply hang a white sheet on the wall at the back and set up an overhead projector for the children to explore light and shadow. A closer look at the materials in the Quiet Centre. I love this small bookshelf from IKEA. It’s just the right size for this small space! We will be spending a lot of time on how to recognize different emotions and the book selection here reflects that topic. A closer look at some of the materials in the Quiet Centre. The light cube is a soothing addition to the space and also gets used when we transform the space into a light studio. The Light Table. This is adjacent to the Quiet Centre/Light studio space. A closer look at the Sand table materials. The Water and Sand tables. The Small Building Centre. The children use smaller blocks and loose parts to work on more intricate buildings and designs. Lego, small world play, and provocations that support our inquiries in Math Science Investigations happen here. Currently, the doll house is set up. I am hoping to encourage conversations around families and family life in an effort to get to know the children better. Materials for the small building centre. More materials for the small building centre. 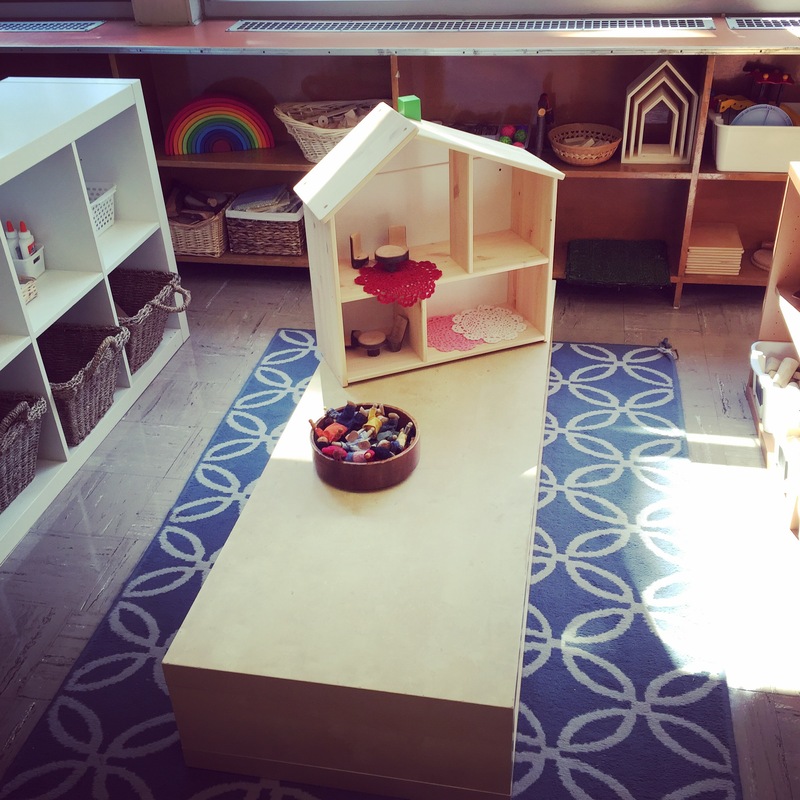 The “Teacher Centre.” Our mini school centre where the children often reenact our daily routines and conversations – storytelling, shared reading, and morning message all get recreated here! The Science and Nature Centre. We will be creating our “Wonder Windows” at the windowsill next to the table. I just love collecting beautiful magnifying glasses! I also have a class set of magnifiers from the dollar store. The play dough centre. I always have play dough available in my classroom and it is by far one of the most popular centres during discovery time! 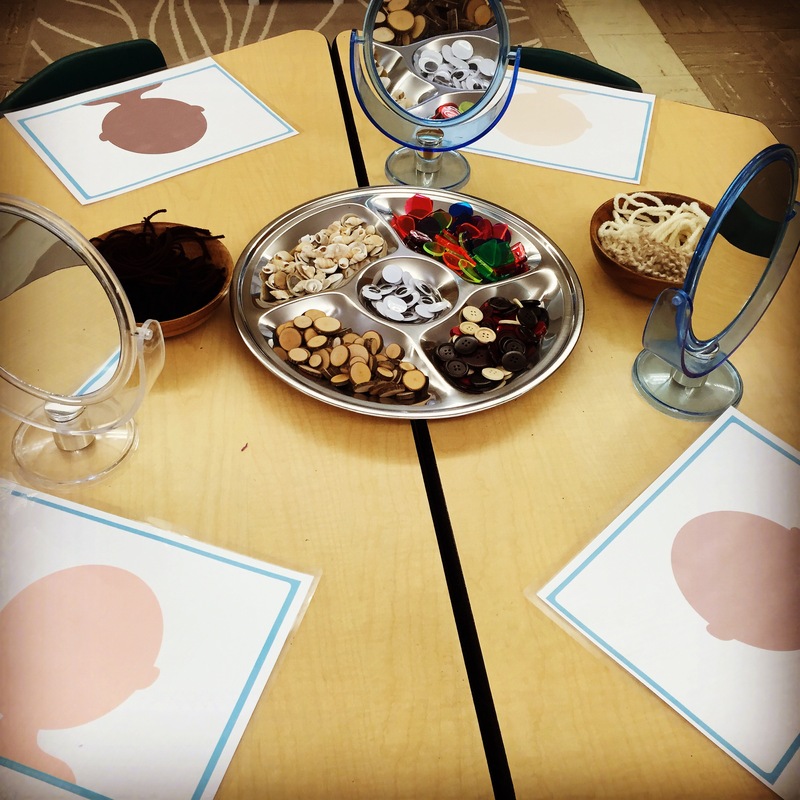 We have currently set up a self-portrait provocation with loose parts. So, that is our room this year! I’m excited to greet my students next week (old and new!) and am most looking forward to seeing where their interests and discoveries take us this year! Wishing everyone a wonderful start to the school year! 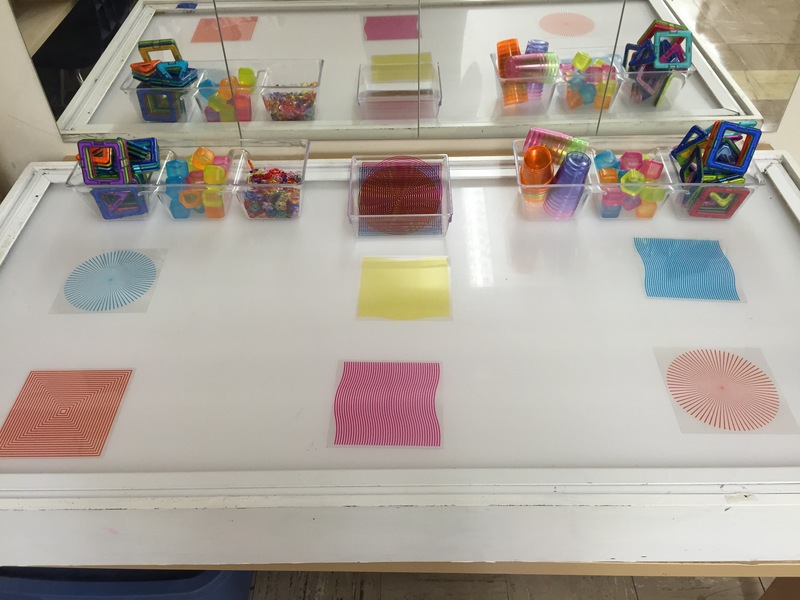 This entry was posted in Classroom Design, Provocations by msmcdonell. Bookmark the permalink. Your room looks amazing 😀. Enjoy the start of school. I’m looking forward to seeing how your lesson unfold as the year goes on. What welcoming, engaging space! I love it! Your learning environment looks so warm and engaging. Thank you for sharing. Thank you Yukari! That’s awesome! Looks great! Where did you find those three wooden houses! Those look like endless possibilities! Thank you, Mrs. Clark! I think the children will come up with lots of ways to use those houses! I found them at Michaels. Love the materials that you chose for the sand and water tables! Do you remember where you found the carts? Hi Denise! Thank you! The metal shelves at the sand and water tables are from Canadian Tire if I remember correctly. Any home reno store should sell them. I love your room! Where did you get that fabulous metal cart for storing your materials? Hi Tanya! The metal carts at the sand and water centre are from Canadian Tire. Any home renovation store should sell them. The metal cart at the math centre and the white metal cart at the writing centre are both from IKEA. hi, your room is amazing. Just wondering if you have a designed space (like a desk) for each child? it appears as if all your table are center spaces. Just wondering how you manage when you have sit down work to do, like writing ? Hello! Thank you! I only have centre tables. For writer’s workshop we just clear the provocations and set out our writing folders. I have shelving near each centre that I use to rotate the materials in this way. As the children finish their writing we just re-set up the centre materials. What a wonderful room!! I love how everything is neatly separated, yet you can still see what is going on at each centre when you look across the room. And, what a great idea to have shelving beside each centre. I need to do that in my next classroom! Do you have all the centres open at once? Also, I was wondering how you introduced the centres at the beginning of the year? For example, did you have them all open and just have all the kids explore all of them? Or did you gradually unveil a couple at a time? I’m always unsure if I have too many centres open at once. Thank you! Thank you! I do have all the centres open at once. 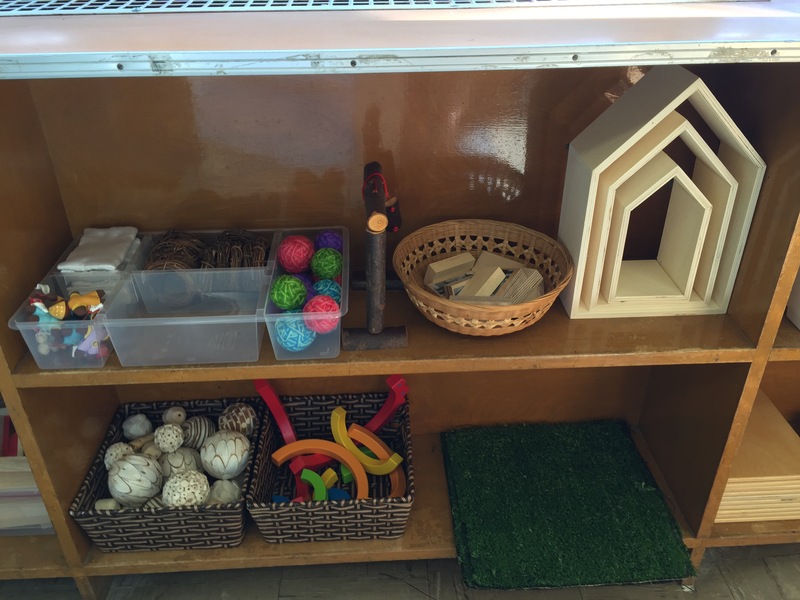 In September I reduce the amount of materials available in each area to make tidying up a bit easier, but I basically just allow the children to explore the centres on their own. We introduce them to the children through our reflection time with the whole class by sharing work the children did or pictures of the children at play. Depending on how things go we keep them open in this way. However, there have been times where I only had one sensory area open at a time (sand or water) just because tidy up was a bit more manageable this way. Usually I follow the children’s lead in terms of judging what is working and what’s not. Every year seems to be a bit different. Hope that helps! Love your room! It’s a beautifully calm space for the children to learn 🙂 Where did you get your light cube from? Hi! Thank you! My principal gave me the light cube so I’m not sure where she got it from. However, I’m pretty sure I’ve seen them advertised in the scholastic rewards/classroom essentials catalogue. Hi there! I love the self portraits! Are you able to share the face templates you used? I’m having a hard time finding diverse faces and yours are PERFECT! Thanks in advance!